For "Life" in the personal sense, see Personal life and Everyday life. Abiogenesis is the natural process of life arising from non-living matter, such as simple organic compounds. The prevailing scientific hypothesis is that the transition from non-living to living entities was not a single event, but a gradual process of increasing complexity. Life on Earth first appeared as early as 4.28 billion years ago, soon after ocean formation 4.41 billion years ago, and not long after the formation of the Earth 4.54 billion years ago. The earliest known life forms are microfossils of bacteria. Researchers generally think that current life on Earth descends from an RNA world, although RNA-based life may not have been the first life to have existed. The classic 1952 Miller–Urey experiment and similar research demonstrated that most amino acids, the chemical constituents of the proteins used in all living organisms, can be synthesized from inorganic compounds under conditions intended to replicate those of the early Earth. Complex organic molecules occur in the Solar System and in interstellar space, and these molecules may have provided starting material for the development of life on Earth. Since its primordial beginnings, life on Earth has changed its environment on a geologic time scale, but it has also adapted to survive in most ecosystems and conditions. Some microorganisms, called extremophiles, thrive in physically or geochemically extreme environments that are detrimental to most other life on Earth. The cell is considered the structural and functional unit of life. There are two kinds of cells, prokaryotic and eukaryotic, both of which consist of cytoplasm enclosed within a membrane and contain many biomolecules such as proteins and nucleic acids. Cells reproduce through a process of cell division, in which the parent cell divides into two or more daughter cells. In the past, there have been many attempts to define what is meant by "life" through obsolete concepts such as odic force, hylomorphism, spontaneous generation and vitalism, that have now been disproved by biological discoveries. Aristotle was the first person to classify organisms. Later, Carl Linnaeus introduced his system of binomial nomenclature for the classification of species. Eventually new groups and categories of life were discovered, such as cells and microorganisms, forcing dramatic revisions of the structure of relationships between living organisms. Though currently only known on Earth, life need not be restricted to it, and many scientists speculate in the existence of extraterrestrial life. Artificial life is a computer simulation or man-made reconstruction of any aspect of life, which is often used to examine systems related to natural life. Death is the permanent termination of all biological functions which sustain an organism, and as such, is the end of its life. Extinction is the term describing the dying out of a group or taxon, usually a species. Fossils are the preserved remains or traces of organisms. The definition of life has long been a challenge for scientists and philosophers, with many varied definitions put forward. This is partially because life is a process, not a substance. This is complicated by a lack of knowledge of the characteristics of living entities, if any, that may have developed outside of Earth. Philosophical definitions of life have also been put forward, with similar difficulties on how to distinguish living things from the non-living. Legal definitions of life have also been described and debated, though these generally focus on the decision to declare a human dead, and the legal ramifications of this decision. These complex processes, called physiological functions, have underlying physical and chemical bases, as well as signaling and control mechanisms that are essential to maintaining life. From a physics perspective, living beings are thermodynamic systems with an organized molecular structure that can reproduce itself and evolve as survival dictates. Thermodynamically, life has been described as an open system which makes use of gradients in its surroundings to create imperfect copies of itself. Hence, life is a self-sustained chemical system capable of undergoing Darwinian evolution. A major strength of this definition is that it distinguishes life by the evolutionary process rather than its chemical composition. Others take a systemic viewpoint that does not necessarily depend on molecular chemistry. One systemic definition of life is that living things are self-organizing and autopoietic (self-producing). Variations of this definition include Stuart Kauffman's definition as an autonomous agent or a multi-agent system capable of reproducing itself or themselves, and of completing at least one thermodynamic work cycle. This definition is extended by the apparition of novel functions over time. Whether or not viruses should be considered as alive is controversial. They are most often considered as just replicators rather than forms of life. They have been described as "organisms at the edge of life" because they possess genes, evolve by natural selection, and replicate by creating multiple copies of themselves through self-assembly. However, viruses do not metabolize and they require a host cell to make new products. Virus self-assembly within host cells has implications for the study of the origin of life, as it may support the hypothesis that life could have started as self-assembling organic molecules. To reflect the minimum phenomena required, other biological definitions of life have been proposed, with many of these being based upon chemical systems. Biophysicists have commented that living things function on negative entropy. In other words, living processes can be viewed as a delay of the spontaneous diffusion or dispersion of the internal energy of biological molecules towards more potential microstates. In more detail, according to physicists such as John Bernal, Erwin Schrödinger, Eugene Wigner, and John Avery, life is a member of the class of phenomena that are open or continuous systems able to decrease their internal entropy at the expense of substances or free energy taken in from the environment and subsequently rejected in a degraded form. Living systems are open self-organizing living things that interact with their environment. These systems are maintained by flows of information, energy, and matter. 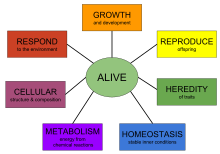 Some scientists have proposed in the last few decades that a general living systems theory is required to explain the nature of life. Such a general theory would arise out of the ecological and biological sciences and attempt to map general principles for how all living systems work. 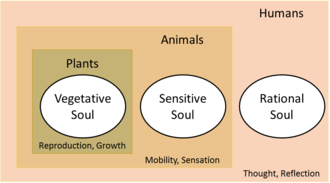 Instead of examining phenomena by attempting to break things down into components, a general living systems theory explores phenomena in terms of dynamic patterns of the relationships of organisms with their environment. The idea that the Earth is alive is found in philosophy and religion, but the first scientific discussion of it was by the Scottish scientist James Hutton. In 1785, he stated that the Earth was a superorganism and that its proper study should be physiology. Hutton is considered the father of geology, but his idea of a living Earth was forgotten in the intense reductionism of the 19th century. :10 The Gaia hypothesis, proposed in the 1960s by scientist James Lovelock, suggests that life on Earth functions as a single organism that defines and maintains environmental conditions necessary for its survival. This hypothesis served as one of the foundations of the modern Earth system science. The first attempt at a general living systems theory for explaining the nature of life was in 1978, by American biologist James Grier Miller. Robert Rosen (1991) built on this by defining a system component as "a unit of organization; a part with a function, i.e., a definite relation between part and whole." From this and other starting concepts, he developed a "relational theory of systems" that attempts to explain the special properties of life. Specifically, he identified the "nonfractionability of components in an organism" as the fundamental difference between living systems and "biological machines." A systems view of life treats environmental fluxes and biological fluxes together as a "reciprocity of influence," and a reciprocal relation with environment is arguably as important for understanding life as it is for understanding ecosystems. As Harold J. Morowitz (1992) explains it, life is a property of an ecological system rather than a single organism or species. He argues that an ecosystemic definition of life is preferable to a strictly biochemical or physical one. Robert Ulanowicz (2009) highlights mutualism as the key to understand the systemic, order-generating behavior of life and ecosystems. Complex systems biology (CSB) is a field of science that studies the emergence of complexity in functional organisms from the viewpoint of dynamic systems theory. The latter is also often called systems biology and aims to understand the most fundamental aspects of life. A closely related approach to CSB and systems biology called relational biology is concerned mainly with understanding life processes in terms of the most important relations, and categories of such relations among the essential functional components of organisms; for multicellular organisms, this has been defined as "categorical biology", or a model representation of organisms as a category theory of biological relations, as well as an algebraic topology of the functional organization of living organisms in terms of their dynamic, complex networks of metabolic, genetic, and epigenetic processes and signaling pathways. Alternative but closely related approaches focus on the interdependance of constraints, where constraints can be either molecular, such as enzymes, or macroscopic, such as the geometry of a bone or of the vascular system. It has also been argued that the evolution of order in living systems and certain physical systems obeys a common fundamental principle termed the Darwinian dynamic. The Darwinian dynamic was formulated by first considering how macroscopic order is generated in a simple non-biological system far from thermodynamic equilibrium, and then extending consideration to short, replicating RNA molecules. The underlying order-generating process was concluded to be basically similar for both types of systems. Another systemic definition called the operator theory proposes that "life is a general term for the presence of the typical closures found in organisms; the typical closures are a membrane and an autocatalytic set in the cell" and that an organism is any system with an organisation that complies with an operator type that is at least as complex as the cell. Life can also be modeled as a network of inferior negative feedbacks of regulatory mechanisms subordinated to a superior positive feedback formed by the potential of expansion and reproduction. Some of the earliest theories of life were materialist, holding that all that exists is matter, and that life is merely a complex form or arrangement of matter. Empedocles (430 BC) argued that everything in the universe is made up of a combination of four eternal "elements" or "roots of all": earth, water, air, and fire. All change is explained by the arrangement and rearrangement of these four elements. The various forms of life are caused by an appropriate mixture of elements. Plato's world of eternal and unchanging Forms, imperfectly represented in matter by a divine Artisan, contrasts sharply with the various mechanistic Weltanschauungen, of which atomism was, by the fourth century at least, the most prominent ... This debate persisted throughout the ancient world. Atomistic mechanism got a shot in the arm from Epicurus ... while the Stoics adopted a divine teleology ... The choice seems simple: either show how a structured, regular world could arise out of undirected processes, or inject intelligence into the system. The mechanistic materialism that originated in ancient Greece was revived and revised by the French philosopher René Descartes, who held that animals and humans were assemblages of parts that together functioned as a machine. In the 19th century, the advances in cell theory in biological science encouraged this view. The evolutionary theory of Charles Darwin (1859) is a mechanistic explanation for the origin of species by means of natural selection. Hylomorphism is a theory first expressed by the Greek philosopher Aristotle (322 BC). The application of hylomorphism to biology was important to Aristotle, and biology is extensively covered in his extant writings. In this view, everything in the material universe has both matter and form, and the form of a living thing is its soul (Greek psyche, Latin anima). There are three kinds of souls: the vegetative soul of plants, which causes them to grow and decay and nourish themselves, but does not cause motion and sensation; the animal soul, which causes animals to move and feel; and the rational soul, which is the source of consciousness and reasoning, which (Aristotle believed) is found only in man. Each higher soul has all of the attributes of the lower ones. Aristotle believed that while matter can exist without form, form cannot exist without matter, and that therefore the soul cannot exist without the body. This account is consistent with teleological explanations of life, which account for phenomena in terms of purpose or goal-directedness. Thus, the whiteness of the polar bear's coat is explained by its purpose of camouflage. The direction of causality (from the future to the past) is in contradiction with the scientific evidence for natural selection, which explains the consequence in terms of a prior cause. Biological features are explained not by looking at future optimal results, but by looking at the past evolutionary history of a species, which led to the natural selection of the features in question. Spontaneous generation was the belief that living organisms can form without descent from similar organisms. Typically, the idea was that certain forms such as fleas could arise from inanimate matter such as dust or the supposed seasonal generation of mice and insects from mud or garbage. The theory of spontaneous generation was proposed by Aristotle, who compiled and expanded the work of prior natural philosophers and the various ancient explanations of the appearance of organisms; it held sway for two millennia. It was decisively dispelled by the experiments of Louis Pasteur in 1859, who expanded upon the investigations of predecessors such as Francesco Redi. Disproof of the traditional ideas of spontaneous generation is no longer controversial among biologists. Vitalism is the belief that the life-principle is non-material. This originated with Georg Ernst Stahl (17th century), and remained popular until the middle of the 19th century. It appealed to philosophers such as Henri Bergson, Friedrich Nietzsche, and Wilhelm Dilthey, anatomists like Marie François Xavier Bichat, and chemists like Justus von Liebig. Vitalism included the idea that there was a fundamental difference between organic and inorganic material, and the belief that organic material can only be derived from living things. This was disproved in 1828, when Friedrich Wöhler prepared urea from inorganic materials. This Wöhler synthesis is considered the starting point of modern organic chemistry. It is of historical significance because for the first time an organic compound was produced in inorganic reactions. During the 1850s, Hermann von Helmholtz, anticipated by Julius Robert von Mayer, demonstrated that no energy is lost in muscle movement, suggesting that there were no "vital forces" necessary to move a muscle. These results led to the abandonment of scientific interest in vitalistic theories, although the belief lingered on in pseudoscientific theories such as homeopathy, which interprets diseases and sickness as caused by disturbances in a hypothetical vital force or life force. The age of the Earth is about 4.54 billion years. Evidence suggests that life on Earth has existed for at least 3.5 billion years, with the oldest physical traces of life dating back 3.7 billion years; however, some theories, such as the Late Heavy Bombardment theory, suggest that life on Earth may have started even earlier, as early as 4.1–4.4 billion years ago, and the chemistry leading to life may have begun shortly after the Big Bang, 13.8 billion years ago, during an epoch when the universe was only 10–17 million years old. More than 99% of all species of life forms, amounting to over five billion species, that ever lived on Earth are estimated to be extinct. Although the number of Earth's catalogued species of lifeforms is between 1.2 million and 2 million, the total number of species in the planet is uncertain. Estimates range from 8 million to 100 million, with a more narrow range between 10 and 14 million, but it may be as high as 1 trillion (with only one-thousandth of one percent of the species described) according to studies realized in May 2016. The total number of related DNA base pairs on Earth is estimated at 5.0 x 1037 and weighs 50 billion tonnes. In comparison, the total mass of the biosphere has been estimated to be as much as 4 TtC (trillion tons of carbon). In July 2016, scientists reported identifying a set of 355 genes from the Last Universal Common Ancestor (LUCA) of all organisms living on Earth. All known life forms share fundamental molecular mechanisms, reflecting their common descent; based on these observations, hypotheses on the origin of life attempt to find a mechanism explaining the formation of a universal common ancestor, from simple organic molecules via pre-cellular life to protocells and metabolism. Models have been divided into "genes-first" and "metabolism-first" categories, but a recent trend is the emergence of hybrid models that combine both categories. There is no current scientific consensus as to how life originated. However, most accepted scientific models build on the Miller–Urey experiment and the work of Sidney Fox, which show that conditions on the primitive Earth favored chemical reactions that synthesize amino acids and other organic compounds from inorganic precursors, and phospholipids spontaneously form lipid bilayers, the basic structure of a cell membrane. Living organisms synthesize proteins, which are polymers of amino acids using instructions encoded by deoxyribonucleic acid (DNA). Protein synthesis entails intermediary ribonucleic acid (RNA) polymers. One possibility for how life began is that genes originated first, followed by proteins; the alternative being that proteins came first and then genes. However, because genes and proteins are both required to produce the other, the problem of considering which came first is like that of the chicken or the egg. Most scientists have adopted the hypothesis that because of this, it is unlikely that genes and proteins arose independently. Therefore, a possibility, first suggested by Francis Crick, is that the first life was based on RNA, which has the DNA-like properties of information storage and the catalytic properties of some proteins. This is called the RNA world hypothesis, and it is supported by the observation that many of the most critical components of cells (those that evolve the slowest) are composed mostly or entirely of RNA. Also, many critical cofactors (ATP, Acetyl-CoA, NADH, etc.) are either nucleotides or substances clearly related to them. The catalytic properties of RNA had not yet been demonstrated when the hypothesis was first proposed, but they were confirmed by Thomas Cech in 1986. One issue with the RNA world hypothesis is that synthesis of RNA from simple inorganic precursors is more difficult than for other organic molecules. One reason for this is that RNA precursors are very stable and react with each other very slowly under ambient conditions, and it has also been proposed that living organisms consisted of other molecules before RNA. However, the successful synthesis of certain RNA molecules under the conditions that existed prior to life on Earth has been achieved by adding alternative precursors in a specified order with the precursor phosphate present throughout the reaction. This study makes the RNA world hypothesis more plausible. Geological findings in 2013 showed that reactive phosphorus species (like phosphite) were in abundance in the ocean before 3.5 Ga, and that Schreibersite easily reacts with aqueous glycerol to generate phosphite and glycerol 3-phosphate. It is hypothesized that Schreibersite-containing meteorites from the Late Heavy Bombardment could have provided early reduced phosphorus, which could react with prebiotic organic molecules to form phosphorylated biomolecules, like RNA. In 2009, experiments demonstrated Darwinian evolution of a two-component system of RNA enzymes (ribozymes) in vitro. The work was performed in the laboratory of Gerald Joyce, who stated "This is the first example, outside of biology, of evolutionary adaptation in a molecular genetic system." Prebiotic compounds may have originated extraterrestrially. NASA findings in 2011, based on studies with meteorites found on Earth, suggest DNA and RNA components (adenine, guanine and related organic molecules) may be formed in outer space. According to the panspermia hypothesis, microscopic life—distributed by meteoroids, asteroids and other small Solar System bodies—may exist throughout the universe. 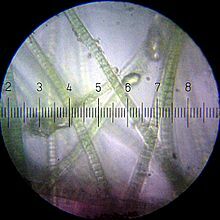 Cyanobacteria dramatically changed the composition of life forms on Earth by leading to the near-extinction of oxygen-intolerant organisms. The diversity of life on Earth is a result of the dynamic interplay between genetic opportunity, metabolic capability, environmental challenges, and symbiosis. For most of its existence, Earth's habitable environment has been dominated by microorganisms and subjected to their metabolism and evolution. As a consequence of these microbial activities, the physical-chemical environment on Earth has been changing on a geologic time scale, thereby affecting the path of evolution of subsequent life. For example, the release of molecular oxygen by cyanobacteria as a by-product of photosynthesis induced global changes in the Earth's environment. Because oxygen was toxic to most life on Earth at the time, this posed novel evolutionary challenges, and ultimately resulted in the formation of Earth's major animal and plant species. This interplay between organisms and their environment is an inherent feature of living systems. The biosphere is the global sum of all ecosystems. It can also be termed as the zone of life on Earth, a closed system (apart from solar and cosmic radiation and heat from the interior of the Earth), and largely self-regulating. By the most general biophysiological definition, the biosphere is the global ecological system integrating all living beings and their relationships, including their interaction with the elements of the lithosphere, geosphere, hydrosphere, and atmosphere. Life forms live in every part of the Earth's biosphere, including soil, hot springs, inside rocks at least 19 km (12 mi) deep underground, the deepest parts of the ocean, and at least 64 km (40 mi) high in the atmosphere. Under certain test conditions, life forms have been observed to thrive in the near-weightlessness of space and to survive in the vacuum of outer space. Life forms appear to thrive in the Mariana Trench, the deepest spot in the Earth's oceans. Other researchers reported related studies that life forms thrive inside rocks up to 580 m (1,900 ft; 0.36 mi) below the sea floor under 2,590 m (8,500 ft; 1.61 mi) of ocean off the coast of the northwestern United States, as well as 2,400 m (7,900 ft; 1.5 mi) beneath the seabed off Japan. In August 2014, scientists confirmed the existence of life forms living 800 m (2,600 ft; 0.50 mi) below the ice of Antarctica. According to one researcher, "You can find microbes everywhere—they're extremely adaptable to conditions, and survive wherever they are." The biosphere is postulated to have evolved, beginning with a process of biopoesis (life created naturally from non-living matter, such as simple organic compounds) or biogenesis (life created from living matter), at least some 3.5 billion years ago. The earliest evidence for life on Earth includes biogenic graphite found in 3.7 billion-year-old metasedimentary rocks from Western Greenland and microbial mat fossils found in 3.48 billion-year-old sandstone from Western Australia. More recently, in 2015, "remains of biotic life" were found in 4.1 billion-year-old rocks in Western Australia. In 2017, putative fossilized microorganisms (or microfossils) were announced to have been discovered in hydrothermal vent precipitates in the Nuvvuagittuq Belt of Quebec, Canada that were as old as 4.28 billion years, the oldest record of life on earth, suggesting "an almost instantaneous emergence of life" after ocean formation 4.4 billion years ago, and not long after the formation of the Earth 4.54 billion years ago. According to biologist Stephen Blair Hedges, "If life arose relatively quickly on Earth ... then it could be common in the universe." In a general sense, biospheres are any closed, self-regulating systems containing ecosystems. This includes artificial biospheres such as Biosphere 2 and BIOS-3, and potentially ones on other planets or moons. 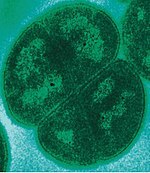 Deinococcus radiodurans is an extremophile that can resist extremes of cold, dehydration, vacuum, acid, and radiation exposure. The inert components of an ecosystem are the physical and chemical factors necessary for life—energy (sunlight or chemical energy), water, heat, atmosphere, gravity, nutrients, and ultraviolet solar radiation protection. In most ecosystems, the conditions vary during the day and from one season to the next. To live in most ecosystems, then, organisms must be able to survive a range of conditions, called the "range of tolerance." Outside that are the "zones of physiological stress," where the survival and reproduction are possible but not optimal. Beyond these zones are the "zones of intolerance," where survival and reproduction of that organism is unlikely or impossible. Organisms that have a wide range of tolerance are more widely distributed than organisms with a narrow range of tolerance. To survive, selected microorganisms can assume forms that enable them to withstand freezing, complete desiccation, starvation, high levels of radiation exposure, and other physical or chemical challenges. These microorganisms may survive exposure to such conditions for weeks, months, years, or even centuries. Extremophiles are microbial life forms that thrive outside the ranges where life is commonly found. They excel at exploiting uncommon sources of energy. While all organisms are composed of nearly identical molecules, evolution has enabled such microbes to cope with this wide range of physical and chemical conditions. Characterization of the structure and metabolic diversity of microbial communities in such extreme environments is ongoing. Microbial life forms thrive even in the Mariana Trench, the deepest spot in the Earth's oceans. Microbes also thrive inside rocks up to 1,900 feet (580 m) below the sea floor under 8,500 feet (2,600 m) of ocean. Investigation of the tenacity and versatility of life on Earth, as well as an understanding of the molecular systems that some organisms utilize to survive such extremes, is important for the search for life beyond Earth. For example, lichen could survive for a month in a simulated Martian environment. All life forms require certain core chemical elements needed for biochemical functioning. These include carbon, hydrogen, nitrogen, oxygen, phosphorus, and sulfur—the elemental macronutrients for all organisms—often represented by the acronym CHNOPS. Together these make up nucleic acids, proteins and lipids, the bulk of living matter. Five of these six elements comprise the chemical components of DNA, the exception being sulfur. The latter is a component of the amino acids cysteine and methionine. The most biologically abundant of these elements is carbon, which has the desirable attribute of forming multiple, stable covalent bonds. This allows carbon-based (organic) molecules to form an immense variety of chemical arrangements. Alternative hypothetical types of biochemistry have been proposed that eliminate one or more of these elements, swap out an element for one not on the list, or change required chiralities or other chemical properties. Deoxyribonucleic acid is a molecule that carries most of the genetic instructions used in the growth, development, functioning and reproduction of all known living organisms and many viruses. DNA and RNA are nucleic acids; alongside proteins and complex carbohydrates, they are one of the three major types of macromolecule that are essential for all known forms of life. Most DNA molecules consist of two biopolymer strands coiled around each other to form a double helix. The two DNA strands are known as polynucleotides since they are composed of simpler units called nucleotides. Each nucleotide is composed of a nitrogen-containing nucleobase—either cytosine (C), guanine (G), adenine (A), or thymine (T)—as well as a sugar called deoxyribose and a phosphate group. The nucleotides are joined to one another in a chain by covalent bonds between the sugar of one nucleotide and the phosphate of the next, resulting in an alternating sugar-phosphate backbone. According to base pairing rules (A with T, and C with G), hydrogen bonds bind the nitrogenous bases of the two separate polynucleotide strands to make double-stranded DNA. The total amount of related DNA base pairs on Earth is estimated at 5.0 x 1037, and weighs 50 billion tonnes. In comparison, the total mass of the biosphere has been estimated to be as much as 4 TtC (trillion tons of carbon). DNA stores biological information. The DNA backbone is resistant to cleavage, and both strands of the double-stranded structure store the same biological information. Biological information is replicated as the two strands are separated. A significant portion of DNA (more than 98% for humans) is non-coding, meaning that these sections do not serve as patterns for protein sequences. The two strands of DNA run in opposite directions to each other and are therefore anti-parallel. Attached to each sugar is one of four types of nucleobases (informally, bases). It is the sequence of these four nucleobases along the backbone that encodes biological information. Under the genetic code, RNA strands are translated to specify the sequence of amino acids within proteins. These RNA strands are initially created using DNA strands as a template in a process called transcription. Within cells, DNA is organized into long structures called chromosomes. During cell division these chromosomes are duplicated in the process of DNA replication, providing each cell its own complete set of chromosomes. Eukaryotic organisms (animals, plants, fungi, and protists) store most of their DNA inside the cell nucleus and some of their DNA in organelles, such as mitochondria or chloroplasts. In contrast, prokaryotes (bacteria and archaea) store their DNA only in the cytoplasm. Within the chromosomes, chromatin proteins such as histones compact and organize DNA. These compact structures guide the interactions between DNA and other proteins, helping control which parts of the DNA are transcribed. DNA was first isolated by Friedrich Miescher in 1869. Its molecular structure was identified by James Watson and Francis Crick in 1953, whose model-building efforts were guided by X-ray diffraction data acquired by Rosalind Franklin. The hierarchy of biological classification's eight major taxonomic ranks. Life is divided into domains, which are subdivided into further groups. Intermediate minor rankings are not shown. The first known attempt to classify organisms was conducted by the Greek philosopher Aristotle (384–322 BC), who classified all living organisms known at that time as either a plant or an animal, based mainly on their ability to move. He also distinguished animals with blood from animals without blood (or at least without red blood), which can be compared with the concepts of vertebrates and invertebrates respectively, and divided the blooded animals into five groups: viviparous quadrupeds (mammals), oviparous quadrupeds (reptiles and amphibians), birds, fishes and whales. The bloodless animals were also divided into five groups: cephalopods, crustaceans, insects (which included the spiders, scorpions, and centipedes, in addition to what we define as insects today), shelled animals (such as most molluscs and echinoderms), and "zoophytes" (animals that resemble plants). Though Aristotle's work in zoology was not without errors, it was the grandest biological synthesis of the time and remained the ultimate authority for many centuries after his death. 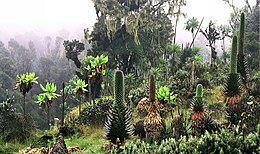 The exploration of the Americas revealed large numbers of new plants and animals that needed descriptions and classification. In the latter part of the 16th century and the beginning of the 17th, careful study of animals commenced and was gradually extended until it formed a sufficient body of knowledge to serve as an anatomical basis for classification. In the late 1740s, Carl Linnaeus introduced his system of binomial nomenclature for the classification of species. Linnaeus attempted to improve the composition and reduce the length of the previously used many-worded names by abolishing unnecessary rhetoric, introducing new descriptive terms and precisely defining their meaning. The Linnaean classification has eight levels: domains, kingdoms, phyla, class, order, family, genus, and species. The fungi were originally treated as plants. For a short period Linnaeus had classified them in the taxon Vermes in Animalia, but later placed them back in Plantae. Copeland classified the Fungi in his Protoctista, thus partially avoiding the problem but acknowledging their special status. The problem was eventually solved by Whittaker, when he gave them their own kingdom in his five-kingdom system. Evolutionary history shows that the fungi are more closely related to animals than to plants. As new discoveries enabled detailed study of cells and microorganisms, new groups of life were revealed, and the fields of cell biology and microbiology were created. These new organisms were originally described separately in protozoa as animals and protophyta/thallophyta as plants, but were united by Haeckel in the kingdom Protista; later, the prokaryotes were split off in the kingdom Monera, which would eventually be divided into two separate groups, the Bacteria and the Archaea. This led to the six-kingdom system and eventually to the current three-domain system, which is based on evolutionary relationships. However, the classification of eukaryotes, especially of protists, is still controversial. As microbiology, molecular biology and virology developed, non-cellular reproducing agents were discovered, such as viruses and viroids. Whether these are considered alive has been a matter of debate; viruses lack characteristics of life such as cell membranes, metabolism and the ability to grow or respond to their environments. Viruses can still be classed into "species" based on their biology and genetics, but many aspects of such a classification remain controversial. In May 2016, scientists reported that 1 trillion species are estimated to be on Earth currently with only one-thousandth of one percent described. In the 1960s cladistics emerged: a system arranging taxa based on clades in an evolutionary or phylogenetic tree. Cells are the basic unit of structure in every living thing, and all cells arise from pre-existing cells by division. Cell theory was formulated by Henri Dutrochet, Theodor Schwann, Rudolf Virchow and others during the early nineteenth century, and subsequently became widely accepted. The activity of an organism depends on the total activity of its cells, with energy flow occurring within and between them. Cells contain hereditary information that is carried forward as a genetic code during cell division. There are two primary types of cells. Prokaryotes lack a nucleus and other membrane-bound organelles, although they have circular DNA and ribosomes. Bacteria and Archaea are two domains of prokaryotes. The other primary type of cells are the eukaryotes, which have distinct nuclei bound by a nuclear membrane and membrane-bound organelles, including mitochondria, chloroplasts, lysosomes, rough and smooth endoplasmic reticulum, and vacuoles. In addition, they possess organized chromosomes that store genetic material. All species of large complex organisms are eukaryotes, including animals, plants and fungi, though most species of eukaryote are protist microorganisms. The conventional model is that eukaryotes evolved from prokaryotes, with the main organelles of the eukaryotes forming through endosymbiosis between bacteria and the progenitor eukaryotic cell. The molecular mechanisms of cell biology are based on proteins. Most of these are synthesized by the ribosomes through an enzyme-catalyzed process called protein biosynthesis. A sequence of amino acids is assembled and joined together based upon gene expression of the cell's nucleic acid. In eukaryotic cells, these proteins may then be transported and processed through the Golgi apparatus in preparation for dispatch to their destination. Cells reproduce through a process of cell division in which the parent cell divides into two or more daughter cells. For prokaryotes, cell division occurs through a process of fission in which the DNA is replicated, then the two copies are attached to parts of the cell membrane. In eukaryotes, a more complex process of mitosis is followed. However, the end result is the same; the resulting cell copies are identical to each other and to the original cell (except for mutations), and both are capable of further division following an interphase period. Multicellular organisms may have first evolved through the formation of colonies of identical cells. These cells can form group organisms through cell adhesion. The individual members of a colony are capable of surviving on their own, whereas the members of a true multi-cellular organism have developed specializations, making them dependent on the remainder of the organism for survival. Such organisms are formed clonally or from a single germ cell that is capable of forming the various specialized cells that form the adult organism. This specialization allows multicellular organisms to exploit resources more efficiently than single cells. In January 2016, scientists reported that, about 800 million years ago, a minor genetic change in a single molecule, called GK-PID, may have allowed organisms to go from a single cell organism to one of many cells. Cells have evolved methods to perceive and respond to their microenvironment, thereby enhancing their adaptability. Cell signaling coordinates cellular activities, and hence governs the basic functions of multicellular organisms. Signaling between cells can occur through direct cell contact using juxtacrine signalling, or indirectly through the exchange of agents as in the endocrine system. In more complex organisms, coordination of activities can occur through a dedicated nervous system. Though life is confirmed only on Earth, many think that extraterrestrial life is not only plausible, but probable or inevitable. Other planets and moons in the Solar System and other planetary systems are being examined for evidence of having once supported simple life, and projects such as SETI are trying to detect radio transmissions from possible alien civilizations. Other locations within the Solar System that may host microbial life include the subsurface of Mars, the upper atmosphere of Venus, and subsurface oceans on some of the moons of the giant planets. Beyond the Solar System, the region around another main-sequence star that could support Earth-like life on an Earth-like planet is known as the habitable zone. The inner and outer radii of this zone vary with the luminosity of the star, as does the time interval during which the zone survives. Stars more massive than the Sun have a larger habitable zone, but remain on the Sun-like "main sequence" of stellar evolution for a shorter time interval. Small red dwarfs have the opposite problem, with a smaller habitable zone that is subject to higher levels of magnetic activity and the effects of tidal locking from close orbits. Hence, stars in the intermediate mass range such as the Sun may have a greater likelihood for Earth-like life to develop. The location of the star within a galaxy may also affect the likelihood of life forming. Stars in regions with a greater abundance of heavier elements that can form planets, in combination with a low rate of potentially habitat-damaging supernova events, are predicted to have a higher probability of hosting planets with complex life. The variables of the Drake equation are used to discuss the conditions in planetary systems where civilization is most likely to exist. Use of the equation to predict the amount of extraterrestrial life, however, is difficult; because many of the variables are unknown, the equation functions as more of a mirror to what its user already thinks. As a result, the number of civilizations in the galaxy can be estimated as low as 9.1 x 10−11 or as high as 156 million; for the calculations, see Drake equation. Artificial life is the simulation of any aspect of life, as through computers, robotics, or biochemistry. The study of artificial life imitates traditional biology by recreating some aspects of biological phenomena. Scientists study the logic of living systems by creating artificial environments—seeking to understand the complex information processing that defines such systems. While life is, by definition, alive, artificial life is generally referred to as data confined to a digital environment and existence. Synthetic biology is a new area of biotechnology that combines science and biological engineering. The common goal is the design and construction of new biological functions and systems not found in nature. Synthetic biology includes the broad redefinition and expansion of biotechnology, with the ultimate goals of being able to design and build engineered biological systems that process information, manipulate chemicals, fabricate materials and structures, produce energy, provide food, and maintain and enhance human health and the environment. Death is the permanent termination of all vital functions or life processes in an organism or cell. It can occur as a result of an accident, medical conditions, biological interaction, malnutrition, poisoning, senescence, or suicide. After death, the remains of an organism re-enter the biogeochemical cycle. Organisms may be consumed by a predator or a scavenger and leftover organic material may then be further decomposed by detritivores, organisms that recycle detritus, returning it to the environment for reuse in the food chain. One of the challenges in defining death is in distinguishing it from life. Death would seem to refer to either the moment life ends, or when the state that follows life begins. However, determining when death has occurred is difficult, as cessation of life functions is often not simultaneous across organ systems. Such determination therefore requires drawing conceptual lines between life and death. This is problematic, however, because there is little consensus over how to define life. The nature of death has for millennia been a central concern of the world's religious traditions and of philosophical inquiry. Many religions maintain faith in either a kind of afterlife or reincarnation for the soul, or resurrection of the body at a later date. Extinction is the process by which a group of taxa or species dies out, reducing biodiversity. The moment of extinction is generally considered the death of the last individual of that species. Because a species' potential range may be very large, determining this moment is difficult, and is usually done retrospectively after a period of apparent absence. Species become extinct when they are no longer able to survive in changing habitat or against superior competition. In Earth's history, over 99% of all the species that have ever lived are extinct; however, mass extinctions may have accelerated evolution by providing opportunities for new groups of organisms to diversify. Fossils are the preserved remains or traces of animals, plants, and other organisms from the remote past. The totality of fossils, both discovered and undiscovered, and their placement in fossil-containing rock formations and sedimentary layers (strata) is known as the fossil record. A preserved specimen is called a fossil if it is older than the arbitrary date of 10,000 years ago. Hence, fossils range in age from the youngest at the start of the Holocene Epoch to the oldest from the Archaean Eon, up to 3.4 billion years old. ^ The "evolution" of viruses and other similar forms is still uncertain. Therefore, this classification may be paraphyletic because cellular life might have evolved from non-cellular life, or polyphyletic because the most recent common ancestor might not be included. ^ Infectious protein molecules prions are not considered living organisms, but can be described as "organism-comparable organic structures". 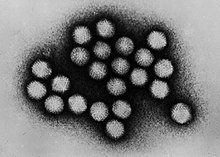 ^ Certain specific organism-comparable organic structures may be considered subviral agents, including virus-dependent entities: satellites and defective interfering particles, both of which require another virus for their replication. ^ a b Dodd, Matthew S.; Papineau, Dominic; Grenne, Tor; Slack, John F.; Rittner, Martin; Pirajno, Franco; O'Neil, Jonathan; Little, Crispin T.S. (1 March 2017). "Evidence for early life in Earth's oldest hydrothermal vent precipitates". Nature. 543 (7643): 60–64. Bibcode:2017Natur.543...60D. doi:10.1038/nature21377. PMID 28252057. Archived from the original on 8 September 2017. Retrieved 2 March 2017. ^ a b Zimmer, Carl (1 March 2017). "Scientists Say Canadian Bacteria Fossils May Be Earth's Oldest". The New York Times. Archived from the original on 2 March 2017. Retrieved 2 March 2017. ^ a b Ghosh, Pallab (1 March 2017). "Earliest evidence of life on Earth 'found". BBC News. Archived from the original on 2 March 2017. Retrieved 2 March 2017. ^ a b Dunham, Will (1 March 2017). "Canadian bacteria-like fossils called oldest evidence of life". Reuters. Archived from the original on 2 March 2017. Retrieved 1 March 2017. ^ Tyrell, Kelly April (18 December 2017). "Oldest fossils ever found show life on Earth began before 3.5 billion years ago". University of Wisconsin–Madison. Retrieved 18 December 2017. ^ Schopf, J. William; Kitajima, Kouki; Spicuzza, Michael J.; Kudryavtsev, Anatolly B.; Valley, John W. (2017). "SIMS analyses of the oldest known assemblage of microfossils document their taxon-correlated carbon isotope compositions". PNAS. 115 (1): 53–58. Bibcode:2018PNAS..115...53S. doi:10.1073/pnas.1718063115. PMC 5776830. PMID 29255053. ^ * Copley, Shelley D.; Smith, Eric; Morowitz, Harold J. (December 2007). "The origin of the RNA world: Co-evolution of genes and metabolism" (PDF). Bioorganic Chemistry. 35 (6): 430–443. doi:10.1016/j.bioorg.2007.08.001. PMID 17897696. Archived (PDF) from the original on 5 September 2013. Retrieved 8 June 2015. The proposal that life on Earth arose from an RNA world is widely accepted. Robertson & Joyce 2012: "There is now strong evidence indicating that an RNA World did indeed exist before DNA- and protein-based life." Neveu, Kim & Benner 2013: "[The RNA world's existence] has broad support within the community today." ^ Robertson, Michael P.; Joyce, Gerald F. (May 2012). "The origins of the RNA world". Cold Spring Harbor Perspectives in Biology. 4 (5): a003608. doi:10.1101/cshperspect.a003608. PMC 3331698. PMID 20739415. ^ Cech, Thomas R. (July 2012). "The RNA Worlds in Context". Cold Spring Harbor Perspectives in Biology. 4 (7): a006742. doi:10.1101/cshperspect.a006742. PMC 3385955. PMID 21441585. ^ Ehrenfreund, Pascale; Cami, Jan (December 2010). "Cosmic carbon chemistry: from the interstellar medium to the early Earth". Cold Spring Harbor Perspectives in Biology. 2 (12): a002097. doi:10.1101/cshperspect.a002097. PMC 2982172. PMID 20554702. ^ Perkins, Sid (8 April 2015). "Organic molecules found circling nearby star". Science (News). Washington, DC: American Association for the Advancement of Science. Retrieved 2015-06-02. ^ King, Anthony (14 April 2015). "Chemicals formed on meteorites may have started life on Earth". Chemistry World (News). London: Royal Society of Chemistry. Archived from the original on 17 April 2015. Retrieved 17 April 2015. ^ Saladino, Raffaele; Carota, Eleonora; Botta, Giorgia; et al. (13 April 2015). "Meteorite-catalyzed syntheses of nucleosides and of other prebiotic compounds from formamide under proton irradiation". Proc. Natl. Acad. Sci. U.S.A. 112 (21): E2746–E2755. Bibcode:2015PNAS..112E2746S. doi:10.1073/pnas.1422225112. PMC 4450408. PMID 25870268. ^ Chapter-5, The Fundamental Unit of Life. Monika Mehan. Scribd. ^ a b Tsokolov, Serhiy A. (May 2009). "Why Is the Definition of Life So Elusive? Epistemological Considerations". Astrobiology. 9 (4): 401–12. Bibcode:2009AsBio...9..401T. doi:10.1089/ast.2007.0201. PMID 19519215. ^ Emmeche, Claus (1997). "Defining Life, Explaining Emergence". Niels Bohr Institute. Archived from the original on 14 March 2012. Retrieved 25 May 2012. ^ a b McKay, Chris P. (14 September 2004). "What Is Life—and How Do We Search for It in Other Worlds?". PLoS Biology. 2 (2(9)): 302. doi:10.1371/journal.pbio.0020302. PMC 516796. PMID 15367939. ^ Mautner, Michael N. (1997). "Directed panspermia. 3. Strategies and motivation for seeding star-forming clouds" (PDF). Journal of the British Interplanetary Society. 50: 93–102. Bibcode:1997JBIS...50...93M. Archived (PDF) from the original on 2 November 2012. ^ Mautner, Michael N. (2000). Seeding the Universe with Life: Securing Our Cosmological Future (PDF). Washington D.C. ISBN 978-0-476-00330-9. Archived (PDF) from the original on 2 November 2012. ^ McKay, Chris (18 September 2014). "What is life? It's a Tricky, Often Confusing Question". Astrobiology Magazine. ^ Nealson, K.H. ; Conrad, P.G. (December 1999). "Life: past, present and future" (PDF). Philosophical Transactions of the Royal Society of London B. 354 (1392): 1923–39. doi:10.1098/rstb.1999.0532. PMC 1692713. PMID 10670014. ^ Mautner, Michael N. (2009). "Life-centered ethics, and the human future in space" (PDF). Bioethics. 23 (8): 433–40. doi:10.1111/j.1467-8519.2008.00688.x. PMID 19077128. Archived (PDF) from the original on 2 November 2012. ^ Jeuken M (1975). "The biological and philosophical defitions of life". Acta Biotheoretica. 24 (1–2): 14–21. doi:10.1007/BF01556737. PMID 811024. ^ Capron AM (1978). "Legal definition of death". Annals of the New York Academy of Sciences. 315 (1): 349–62. Bibcode:1978NYASA.315..349C. doi:10.1111/j.1749-6632.1978.tb50352.x. ^ Koshland, Jr., Daniel E. (22 March 2002). "The Seven Pillars of Life". Science. 295 (5563): 2215–16. doi:10.1126/science.1068489. PMID 11910092. ^ "life". The American Heritage Dictionary of the English Language (4th ed.). Houghton Mifflin. 2006. ISBN 978-0-618-70173-5. ^ "Life". Merriam-Webster Dictionary. Archived from the original on 10 November 2016. Retrieved 12 November 2016. ^ "Habitability and Biology: What are the Properties of Life?". Phoenix Mars Mission. The University of Arizona. Archived from the original on 24 April 2014. Retrieved 6 June 2013. ^ Trifonov, Edward N. (2012). "Definition of Life: Navigation through Uncertainties" (PDF). Journal of Biomolecular Structure & Dynamics. 29 (4): 647–50. doi:10.1080/073911012010525017. ISSN 0739-1102. PMID 22208269. Archived (PDF) from the original on 27 January 2012. Retrieved 12 January 2012. ^ Zimmer, Carl (11 January 2012). "Can scientists define 'life' ... using just three words?". NBC News. Archived from the original on 14 April 2016. Retrieved 12 November 2016. ^ Luttermoser, Donald G. "ASTR-1020: Astronomy II Course Lecture Notes Section XII" (PDF). East Tennessee State University. Archived from the original (PDF) on 22 March 2012. Retrieved 28 August 2011. ^ Luttermoser, Donald G. (Spring 2008). "Physics 2028: Great Ideas in Science: The Exobiology Module" (PDF). East Tennessee State University. Archived from the original (PDF) on 22 March 2012. Retrieved 28 August 2011. ^ Lammer, H.; Bredehöft, J.H. ; Coustenis, A.; Khodachenko, M.L. ; et al. (2009). "What makes a planet habitable?" (PDF). The Astronomy and Astrophysics Review. 17 (2): 181–249. Bibcode:2009A&ARv..17..181L. doi:10.1007/s00159-009-0019-z. Archived from the original (PDF) on 2 June 2016. Retrieved 2016-05-03. Life as we know it has been described as a (thermodynamically) open system (Prigogine et al. 1972), which makes use of gradients in its surroundings to create imperfect copies of itself. ^ Joyce, Gerald F. (1995). "The RNA World: Life before DNA and Protein". Extraterrestrials. Cambridge University Press. pp. 139–51. doi:10.1017/CBO9780511564970.017. ISBN 978-0-511-56497-0. Retrieved 27 May 2012. ^ Overbye, Dennis (28 October 2015). "Cassini Seeks Insights to Life in Plumes of Enceladus, Saturn's Icy Moon". The New York Times. Archived from the original on 28 October 2015. Retrieved 28 October 2015. ^ Domagal-Goldman, Shawn D.; Wright, Katherine E. (2016). "The Astrobiology Primer v2.0". Astrobiology. 16 (8): 561–53. Bibcode:2016AsBio..16..561D. doi:10.1089/ast.2015.1460. PMC 5008114. PMID 27532777. ^ Kaufmann, Stuart (2004). Barrow, John D.; Davies, P.C.W. ; Harper, Jr., C.L., eds. Autonomous agents. Science and Ultimate Reality: Quantum Theory, Cosmology, and Complexity. pp. 654–66. ISBN 978-0-521-83113-0. Archived from the original on 3 September 2016. ^ Longo, Giuseppe; Montévil, Maël; Kauffman, Stuart (1 January 2012). No Entailing Laws, but Enablement in the Evolution of the Biosphere. Proceedings of the 14th Annual Conference Companion on Genetic and Evolutionary Computation. GECCO '12. pp. 1379–92. arXiv:1201.2069. Bibcode:2012arXiv1201.2069L. CiteSeerX 10.1.1.701.3838. doi:10.1145/2330784.2330946. ISBN 978-1-4503-1178-6. Archived from the original on 11 May 2017. ^ Koonin, E.V. ; Starokadomskyy, P. (7 March 2016). "Are viruses alive? The replicator paradigm sheds decisive light on an old but misguided question". Stud Hist Philos Biol Biomed Sci. 59: 125–34. doi:10.1016/j.shpsc.2016.02.016. PMC 5406846. PMID 26965225. ^ Rybicki, EP (1990). "The classification of organisms at the edge of life, or problems with virus systematics". S Afr J Sci. 86: 182–86. ^ Holmes, E.C. (October 2007). "Viral evolution in the genomic age". PLoS Biol. 5 (10): e278. doi:10.1371/journal.pbio.0050278. PMC 1994994. PMID 17914905. ^ Forterre, Patrick (3 March 2010). "Defining Life: The Virus Viewpoint". Orig Life Evol Biosph. 40 (2): 151–60. Bibcode:2010OLEB...40..151F. doi:10.1007/s11084-010-9194-1. PMC 2837877. PMID 20198436. ^ Koonin, E.V. ; Senkevich, T.G. ; Dolja, V.V. (2006). "The ancient Virus World and evolution of cells". Biology Direct. 1: 29. doi:10.1186/1745-6150-1-29. PMC 1594570. PMID 16984643. ^ Rybicki, Ed (November 1997). "Origins of Viruses". Archived from the original on 9 May 2009. Retrieved 12 April 2009. ^ "Giant Viruses Shake Up Tree of Life". Astrobiology Magazine. 15 September 2012. Archived from the original on 17 September 2012. Retrieved 13 November 2016. ^ Popa, Radu (March 2004). Between Necessity and Probability: Searching for the Definition and Origin of Life (Advances in Astrobiology and Biogeophysics). Springer. ISBN 978-3-540-20490-9. ^ Schrödinger, Erwin (1944). What is Life?. Cambridge University Press. ISBN 978-0-521-42708-1. ^ Margulis, Lynn; Sagan, Dorion (1995). What is Life?. University of California Press. ISBN 978-0-520-22021-8. ^ Lovelock, James (2000). Gaia – a New Look at Life on Earth. Oxford University Press. ISBN 978-0-19-286218-1. ^ Avery, John (2003). Information Theory and Evolution. World Scientific. ISBN 978-981-238-399-0. 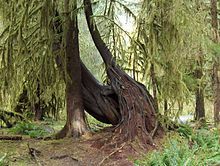 ^ Woodruff, T. Sullivan; John Baross (8 October 2007). Planets and Life: The Emerging Science of Astrobiology. Cambridge University Press. Cleland and Chyba wrote a chapter in Planets and Life: "In the absence of such a theory, we are in a position analogous to that of a 16th-century investigator trying to define 'water' in the absence of molecular theory." [...] "Without access to living things having a different historical origin, it is difficult and perhaps ultimately impossible to formulate an adequately general theory of the nature of living systems". ^ Brown, Molly Young (2002). "Patterns, Flows, and Interrelationship". Archived from the original on 8 January 2009. Retrieved 2009-06-27. ^ a b Lovelock, James (1979). Gaia: A New Look at Life on Earth. Oxford University Press. ISBN 978-0-19-286030-9. ^ Lovelock, J.E. (1965). "A physical basis for life detection experiments". Nature. 207 (7): 568–70. Bibcode:1965Natur.207..568L. doi:10.1038/207568a0. PMID 5883628. ^ Lovelock, James. "Geophysiology". Papers by James Lovelock. Archived from the original on 6 May 2007. ^ Woodruff, T. Sullivan; John Baross (8 October 2007). Planets and Life: The Emerging Science of Astrobiology. Cambridge University Press. ISBN 978-0-521-82421-7. Cleland and Chyba wrote a chapter in Planets and Life: "In the absence of such a theory, we are in a position analogous to that of a 16th-century investigator trying to define 'water' in the absence of molecular theory."... "Without access to living things having a different historical origin, it is difficult and perhaps ultimately impossible to formulate an adequately general theory of the nature of living systems". ^ Robert, Rosen (November 1991). Life Itself: A Comprehensive Inquiry into the Nature, Origin, and Fabrication of Life. ISBN 978-0-231-07565-7. ^ Fiscus, Daniel A. (April 2002). "The Ecosystemic Life Hypothesis". Bulletin of the Ecological Society of America. Archived from the original on 6 August 2009. Retrieved 28 August 2009. ^ Morowitz, Harold J. (1992). Beginnings of cellular life: metabolism recapitulates biogenesis. Yale University Press. ISBN 978-0-300-05483-5. Archived from the original on 5 September 2016. ^ Ulanowicz, Robert W.; Ulanowicz, Robert E. (2009). A third window: natural life beyond Newton and Darwin. Templeton Foundation Press. ISBN 978-1-59947-154-9. Archived from the original on 3 September 2016. ^ Baianu, I.C. (2006). "Robert Rosen's Work and Complex Systems Biology". Axiomathes. 16 (1–2): 25–34. doi:10.1007/s10516-005-4204-z. ^ * Rosen, R. (1958a). "A Relational Theory of Biological Systems". Bulletin of Mathematical Biophysics. 20 (3): 245–60. doi:10.1007/bf02478302. ^ * Rosen, R. (1958b). "The Representation of Biological Systems from the Standpoint of the Theory of Categories". Bulletin of Mathematical Biophysics. 20 (4): 317–41. doi:10.1007/bf02477890. ^ Montévil, Maël; Mossio, Matteo (7 May 2015). "Biological organisation as closure of constraints". Journal of Theoretical Biology. 372: 179–91. CiteSeerX 10.1.1.701.3373. doi:10.1016/j.jtbi.2015.02.029. PMID 25752259. Archived from the original on 17 November 2017. ^ a b Harris Bernstein; Henry C. Byerly; Frederick A. Hopf; Richard A. Michod; G. Krishna Vemulapalli (June 1983). "The Darwinian Dynamic". The Quarterly Review of Biology. 58 (2): 185. doi:10.1086/413216. JSTOR 2828805. ^ Michod, Richard E. (2000). Darwinian Dynamics: Evolutionary Transitions in Fitness and Individuality. Princeton: Princeton University Press. ISBN 978-0-691-05011-9. ^ Jagers, Gerard (2012). The Pursuit of Complexity: The Utility of Biodiversity from an Evolutionary Perspective. KNNV Publishing. ISBN 978-90-5011-443-1. ^ "Towards a Hierarchical Definition of Life, the Organism, and Death". Foundations of Science. 15. ^ "Explaining the Origin of Life is not Enough for a Definition of Life". Foundations of Science. 16. ^ "The role of logic and insight in the search for a definition of life". J. Biomol. Struct. Dyn. 29. ^ Jagers, Gerald (2012). "Contributions of the Operator Hierarchy to the Field of Biologically Driven Mathematics and Computation". In Ehresmann, Andree C.; Simeonov, Plamen L.; Smith, Leslie S. Integral Biomathics. Springer. ISBN 978-3-642-28110-5. ^ Korzeniewski, Bernard (7 April 2001). "Cybernetic formulation of the definition of life". Journal of Theoretical Biology. 209 (3): 275–86. doi:10.1006/jtbi.2001.2262. PMID 11312589. ^ Parry, Richard (4 March 2005). "Empedocles". Stanford Encyclopedia of Philosophy. Retrieved 25 May 2012. ^ Parry, Richard (25 August 2010). "Democritus". Stanford Encyclopedia of Philosophy. Retrieved 25 May 2012. ^ Hankinson, R.J. (1997). Cause and Explanation in Ancient Greek Thought. Oxford University Press. p. 125. ISBN 978-0-19-924656-4. Archived from the original on 4 September 2016. ^ Thagard, Paul (2012). The Cognitive Science of Science: Explanation, Discovery, and Conceptual Change. MIT Press. pp. 204–05. ISBN 978-0-262-01728-2. Archived from the original on 3 September 2016. ^ Aristotle. On the Soul. Book II. ^ Marietta, Don (1998). Introduction to ancient philosophy. M.E. Sharpe. p. 104. ISBN 978-0-7656-0216-9. ^ Stewart-Williams, Steve (2010). Darwin, God and the meaning of life: how evolutionary theory undermines everything you thought you knew of life. Cambridge University Press. pp. 193–94. ISBN 978-0-521-76278-6. Archived from the original on 3 September 2016. ^ Stillingfleet, Edward (1697). Origines Sacrae. Cambridge University Press – via Internet Archive. ^ André Brack (1998). "Introduction" (PDF). In André Brack. The Molecular Origins of Life. Cambridge University Press. p. 1. ISBN 978-0-521-56475-5. Archived (PDF) from the original on 26 March 2009. Retrieved 7 January 2009. ^ Levine, Russell; Evers, Chris. "The Slow Death of Spontaneous Generation (1668–1859)". North Carolina State University. National Health Museum. Archived from the original on 9 October 2015. ^ Tyndall, John (1905). Fragments of Science. 2. New York: P.F. Collier. Chapters IV, XII, and XIII – via Internet Archive. ^ Bernal, J.D. (1967) [Reprinted work by A.I. Oparin originally published 1924; Moscow: The Moscow Worker]. The Origin of Life. The Weidenfeld and Nicolson Natural History. Translation of Oparin by Ann Synge. London: Weidenfeld & Nicolson. LCCN 67098482. ^ Zubay, Geoffrey (2000). Origins of Life: On Earth and in the Cosmos (2nd ed.). Academic Press. ISBN 978-0-12-781910-5. ^ Smith, John Maynard; Szathmary, Eors (1997). The Major Transitions in Evolution. Oxford Oxfordshire: Oxford University Press. ISBN 978-0-19-850294-4. ^ Schwartz, Sanford (2009). C.S. Lewis on the Final Frontier: Science and the Supernatural in the Space Trilogy. Oxford University Press. p. 56. ISBN 978-0-19-988839-9. Archived from the original on 4 September 2016. ^ a b Wilkinson, Ian (1998). "History of Clinical Chemistry – Wöhler & the Birth of Clinical Chemistry" (PDF). The Journal of the International Federation of Clinical Chemistry and Laboratory Medicine. 13 (4). Archived (PDF) from the original on 5 January 2016. Retrieved 27 December 2015. ^ Friedrich Wöhler (1828). "Ueber künstliche Bildung des Harnstoffs". Annalen der Physik und Chemie. 88 (2): 253–56. Bibcode:1828AnP....88..253W. doi:10.1002/andp.18280880206. Archived from the original on 10 January 2012. ^ Rabinbach, Anson (1992). The Human Motor: Energy, Fatigue, and the Origins of Modernity. University of California Press. pp. 124–25. ISBN 978-0-520-07827-7. Archived from the original on 4 September 2016. ^ "NCAHF Position Paper on Homeopathy". National Council Against Health Fraud. February 1994. Retrieved 12 June 2012. ^ Dalrymple, G. Brent (2001). "The age of the Earth in the twentieth century: a problem (mostly) solved". Special Publications, Geological Society of London. 190 (1): 205–21. Bibcode:2001GSLSP.190..205D. doi:10.1144/GSL.SP.2001.190.01.14. ^ Manhesa, Gérard; Allègre, Claude J.; Dupréa, Bernard & Hamelin, Bruno (1980). "Lead isotope study of basic-ultrabasic layered complexes: Speculations about the age of the earth and primitive mantle characteristics". Earth and Planetary Science Letters. 47 (3): 370–82. Bibcode:1980E&PSL..47..370M. doi:10.1016/0012-821X(80)90024-2. ^ a b Tenenbaum, David (14 October 2002). "When Did Life on Earth Begin? Ask a Rock". Astrobiology Magazine. Archived from the original on 20 May 2013. Retrieved 13 April 2014. ^ a b c d Borenstein, Seth (19 October 2015). "Hints of life on what was thought to be desolate early Earth". Associated Press. Retrieved 9 October 2018. ^ a b c Bell, Elizabeth A.; Boehnike, Patrick; Harrison, T. Mark; et al. (19 October 2015). "Potentially biogenic carbon preserved in a 4.1 billion-year-old zircon" (PDF). Proc. Natl. Acad. Sci. U.S.A. 112 (47): 14518–21. Bibcode:2015PNAS..11214518B. doi:10.1073/pnas.1517557112. ISSN 1091-6490. PMC 4664351. PMID 26483481. Archived (PDF) from the original on 6 November 2015. Retrieved 20 October 2015. Early edition, published online before print. ^ a b Courtland, Rachel (2 July 2008). "Did newborn Earth harbour life?". New Scientist. Archived from the original on 14 November 2016. Retrieved 14 November 2016. ^ a b Steenhuysen, Julie (20 May 2009). "Study turns back clock on origins of life on Earth". Reuters. Archived from the original on 14 November 2016. Retrieved 14 November 2016. ^ Schopf, J. William; Kudryavtsev, Anatoliy B; Czaja, Andrew D; Tripathi, Abhishek B (2007). "Evidence of Archean life: Stromatolites and microfossils". Precambrian Research. 158 (3–4): 141. Bibcode:2007PreR..158..141S. doi:10.1016/j.precamres.2007.04.009. ^ Schopf, JW (June 2006). "Fossil evidence of Archaean life". Philos. Trans. R. Soc. Lond. B Biol. Sci. 361 (1470): 869–85. doi:10.1098/rstb.2006.1834. PMC 1578735. PMID 16754604. ^ Hamilton Raven, Peter; Brooks Johnson, George (2002). Biology. McGraw-Hill Education. p. 68. ISBN 978-0-07-112261-0. Archived from the original on 1 January 2014. Retrieved 7 July 2013. ^ Milsom, Clare; Rigby, Sue (2009). Fossils at a Glance (2nd ed.). John Wiley & Sons. p. 134. ISBN 978-1-4051-9336-8. Archived from the original on 4 September 2016. ^ a b Ohtomo, Yoko; Kakegawa, Takeshi; Ishida, Akizumi; Nagase, Toshiro; Rosing, Minik T. (8 December 2013). "Evidence for biogenic graphite in early Archaean Isua metasedimentary rocks". Nature Geoscience. 7 (1): 25–28. Bibcode:2014NatGe...7...25O. doi:10.1038/ngeo2025. ^ a b Borenstein, Seth (13 November 2013). "Oldest fossil found: Meet your microbial mom". Associated Press. Archived from the original on 29 June 2015. ^ a b Noffke, Nora; Christian, Daniel; Wacey, David; Hazen, Robert M. (8 November 2013). "Microbially Induced Sedimentary Structures Recording an Ancient Ecosystem in the ca. 3.48 Billion-Year-Old Dresser Formation, Pilbara, Western Australia". Astrobiology. 13 (12): 1103–24. Bibcode:2013AsBio..13.1103N. doi:10.1089/ast.2013.1030. PMC 3870916. PMID 24205812. ^ Loeb, Abraham (October 2014). "The Habitable Epoch of the Early Universe". International Journal of Astrobiology. 13 (4): 337–39. arXiv:1312.0613. Bibcode:2014IJAsB..13..337L. CiteSeerX 10.1.1.680.4009. doi:10.1017/S1473550414000196. Archived from the original on 6 July 2015. Retrieved 15 December 2014. ^ Loeb, Abraham (2 December 2013). "The Habitable Epoch of the Early Universe". International Journal of Astrobiology. 13 (4): 337–39. arXiv:1312.0613v3. Bibcode:2014IJAsB..13..337L. CiteSeerX 10.1.1.748.4820. doi:10.1017/S1473550414000196. ^ Dreifus, Claudia (2 December 2014). "Much-Discussed Views That Go Way Back – Avi Loeb Ponders the Early Universe, Nature and Life". The New York Times. Archived from the original on 3 December 2014. Retrieved 3 December 2014. ^ a b Kunin, W.E. ; Gaston, Kevin, eds. (31 December 1996). The Biology of Rarity: Causes and consequences of rare—common differences. ISBN 978-0-412-63380-5. Archived from the original on 5 September 2015. Retrieved 26 May 2015. ^ a b Stearns, Beverly Peterson; Stearns, S.C.; Stearns, Stephen C. (2000). Watching, from the Edge of Extinction. Yale University Press. p. preface x. ISBN 978-0-300-08469-6. Archived from the original on 17 July 2017. Retrieved 30 May 2017. ^ a b Novacek, Michael J. (8 November 2014). "Prehistory's Brilliant Future". The New York Times. Archived from the original on 29 December 2014. Retrieved 25 December 2014. ^ a b c G. Miller; Scott Spoolman (2012). Environmental Science – Biodiversity Is a Crucial Part of the Earth's Natural Capital. Cengage Learning. p. 62. ISBN 978-1-133-70787-5. Archived from the original on 18 March 2015. Retrieved 27 December 2014. We do not know how many species there are on the earth. Estimates range from 8 million to 100 million. The best guess is that there are 10–14 million species. So far, biologists have identified almost 2 million species. ^ a b Mora, C.; Tittensor, D.P. ; Adl, S.; Simpson, A.G.; Worm, B. (23 August 2011). "How many species are there on Earth and in the ocean?". PLOS Biology. 9 (8): e1001127. doi:10.1371/journal.pbio.1001127. PMC 3160336. PMID 21886479. In spite of 250 years of taxonomic classification and over 1.2 million species already catalogued in a central database, our results suggest that some 86% of existing species on Earth and 91% of species in the ocean still await description. ^ a b Staff (2 May 2016). "Researchers find that Earth may be home to 1 trillion species". National Science Foundation. Archived from the original on 4 May 2016. Retrieved 6 May 2016. ^ Pappas, Stephanie (5 May 2016). "There Might Be 1 Trillion Species on Earth". LiveScience. Archived from the original on 7 June 2017. Retrieved 7 June 2017. ^ a b Nuwer, Rachel (18 July 2015). "Counting All the DNA on Earth". The New York Times. New York: The New York Times Company. ISSN 0362-4331. Archived from the original on 18 July 2015. Retrieved 18 July 2015. ^ a b "The Biosphere: Diversity of Life". Aspen Global Change Institute. Basalt, CO. Retrieved 2015-07-19. ^ Wade, Nicholas (25 July 2016). "Meet Luca, the Ancestor of All Living Things". The New York Times. Archived from the original on 28 July 2016. Retrieved 25 July 2016. ^ Coveney, Peter V.; Fowler, Philip W. (2005). "Modelling biological complexity: a physical scientist's perspective". Journal of the Royal Society Interface. 2 (4): 267–80. doi:10.1098/rsif.2005.0045. PMC 1578273. PMID 16849185. ^ "Habitability and Biology: What are the Properties of Life?". Phoenix Mars Mission. The University of Arizona. Archived from the original on 17 April 2014. Retrieved 6 June 2013. ^ Senapathy, Periannan (1994). Independent birth of organisms. Madison, Wisconsin: Genome Press. ISBN 978-0-9641304-0-1. Archived from the original on 5 September 2016. ^ Eigen, Manfred; Winkler, Ruthild (1992). Steps towards life: a perspective on evolution (German edition, 1987). Oxford University Press. p. 31. ISBN 978-0-19-854751-8. ^ a b Barazesh, Solmaz (13 May 2009). "How RNA Got Started: Scientists Look for the Origins of Life". U.S. News & World Report. Archived from the original on 23 August 2016. Retrieved 14 November 2016. ^ Watson, James D. (1993). Gesteland, R. F.; Atkins, J.F., eds. Prologue: early speculations and facts about RNA templates. The RNA World. Cold Spring Harbor, New York: Cold Spring Harbor Laboratory Press. pp. xv–xxiii. ^ Gilbert, Walter (20 February 1986). "Origin of life: The RNA world". Nature. 319 (618): 618. Bibcode:1986Natur.319..618G. doi:10.1038/319618a0. ^ Cech, Thomas R. (1986). "A model for the RNA-catalyzed replication of RNA". Proceedings of the National Academy of Sciences USA. 83 (12): 4360–63. Bibcode:1986PNAS...83.4360C. doi:10.1073/pnas.83.12.4360. PMC 323732. PMID 2424025. ^ Cech, T.R. (2011). "The RNA Worlds in Context". Cold Spring Harb Perspect Biol. 4 (7): a006742. doi:10.1101/cshperspect.a006742. PMC 3385955. PMID 21441585. ^ Powner, Matthew W.; Gerland, Béatrice; Sutherland, John D. (14 May 2009). "Synthesis of activated pyrimidine ribonucleotides in prebiotically plausible conditions". Nature. 459 (7244): 239–42. Bibcode:2009Natur.459..239P. doi:10.1038/nature08013. PMID 19444213. ^ Szostak, Jack W. (14 May 2009). "Origins of life: Systems chemistry on early Earth". Nature. 459 (7244): 171–72. Bibcode:2009Natur.459..171S. doi:10.1038/459171a. PMID 19444196. ^ a b Pasek, Matthew A.; et at. ; Buick, R.; Gull, M.; Atlas, Z. (18 June 2013). "Evidence for reactive reduced phosphorus species in the early Archean ocean". PNAS. 110 (25): 10089–94. Bibcode:2013PNAS..11010089P. doi:10.1073/pnas.1303904110. PMC 3690879. PMID 23733935. ^ Lincoln, Tracey A.; Joyce, Gerald F. (27 February 2009). "Self-Sustained Replication of an RNA Enzyme". Science. 323 (5918): 1229–32. Bibcode:2009Sci...323.1229L. doi:10.1126/science.1167856. PMC 2652413. PMID 19131595. ^ Joyce, Gerald F. (2009). "Evolution in an RNA world". Cold Spring Harbor Symposium on Quantitative Biology. 74: 17–23. doi:10.1101/sqb.2009.74.004. PMC 2891321. PMID 19667013. ^ Callahan; Smith, K.E. ; Cleaves, H.J. ; Ruzica, J.; Stern, J.C.; Glavin, D.P. ; House, C.H. ; Dworkin, J.P. (11 August 2011). "Carbonaceous meteorites contain a wide range of extraterrestrial nucleobases". PNAS. 108 (34): 13995–98. Bibcode:2011PNAS..10813995C. doi:10.1073/pnas.1106493108. PMC 3161613. PMID 21836052. Archived from the original on 18 September 2011. Retrieved 15 August 2011. ^ Steigerwald, John (8 August 2011). "NASA Researchers: DNA Building Blocks Can Be Made in Space". NASA. Archived from the original on 23 June 2015. Retrieved 10 August 2011. ^ "DNA Building Blocks Can Be Made in Space, NASA Evidence Suggests". ScienceDaily. 9 August 2011. Archived from the original on 5 September 2011. Retrieved 9 August 2011. ^ Gallori, Enzo (November 2010). "Astrochemistry and the origin of genetic material". Rendiconti Lincei. 22 (2): 113–18. doi:10.1007/s12210-011-0118-4. ^ Marlaire, Ruth (3 March 2015). "NASA Ames Reproduces the Building Blocks of Life in Laboratory". NASA. Archived from the original on 5 March 2015. Retrieved 5 March 2015. ^ Rampelotto, P.H. (2010). "Panspermia: A Promising Field Of Research" (PDF). Archived (PDF) from the original on 27 March 2016. Retrieved 3 December 2014. ^ a b c d e Rothschild, Lynn (September 2003). "Understand the evolutionary mechanisms and environmental limits of life". NASA. Archived from the original on 11 March 2012. Retrieved 13 July 2009. ^ King, G.A.M. (April 1977). "Symbiosis and the origin of life". Origins of Life and Evolution of Biospheres. 8 (1): 39–53. Bibcode:1977OrLi....8...39K. doi:10.1007/BF00930938. ^ Margulis, Lynn (2001). The Symbiotic Planet: A New Look at Evolution. London, England: Orion Books Ltd. ISBN 978-0-7538-0785-9. ^ Douglas J. Futuyma; Janis Antonovics (1992). Oxford surveys in evolutionary biology: Symbiosis in evolution. 8. London, England: Oxford University Press. pp. 347–74. ISBN 978-0-19-507623-3. ^ The Columbia Encyclopedia, Sixth Edition. Columbia University Press. 2004. Archived from the original on 27 October 2011. Retrieved 12 November 2010. ^ University of Georgia (25 August 1998). "First-Ever Scientific Estimate Of Total Bacteria On Earth Shows Far Greater Numbers Than Ever Known Before". Science Daily. Archived from the original on 10 November 2014. Retrieved 10 November 2014. ^ Hadhazy, Adam (12 January 2015). "Life Might Thrive a Dozen Miles Beneath Earth's Surface". Astrobiology Magazine. Archived from the original on 12 March 2017. Retrieved 11 March 2017. ^ Fox-Skelly, Jasmin (24 November 2015). "The Strange Beasts That Live In Solid Rock Deep Underground". BBC online. Archived from the original on 25 November 2016. Retrieved 11 March 2017. ^ Dvorsky, George (13 September 2017). "Alarming Study Indicates Why Certain Bacteria Are More Resistant to Drugs in Space". Gizmodo. Archived from the original on 14 September 2017. Retrieved 14 September 2017. ^ Caspermeyer, Joe (23 September 2007). "Space flight shown to alter ability of bacteria to cause disease". Arizona State University. Archived from the original on 14 September 2017. Retrieved 14 September 2017. ^ Dose, K.; Bieger-Dose, A.; Dillmann, R.; Gill, M.; Kerz, O.; Klein, A.; Meinert, H.; Nawroth, T.; Risi, S.; Stridde, C. (1995). "ERA-experiment "space biochemistry"". Advances in Space Research. 16 (8): 119–29. Bibcode:1995AdSpR..16..119D. doi:10.1016/0273-1177(95)00280-R. PMID 11542696. ^ a b c d e Choi, Charles Q. (17 March 2013). "Microbes Thrive in Deepest Spot on Earth". LiveScience. Archived from the original on 2 April 2013. Retrieved 17 March 2013. ^ a b Glud, Ronnie; Wenzhöfer, Frank; Middelboe, Mathias; Oguri, Kazumasa; Turnewitsch, Robert; Canfield, Donald E.; Kitazato, Hiroshi (17 March 2013). "High rates of microbial carbon turnover in sediments in the deepest oceanic trench on Earth". Nature Geoscience. 6 (4): 284–88. Bibcode:2013NatGe...6..284G. doi:10.1038/ngeo1773. ^ a b Oskin, Becky (14 March 2013). "Intraterrestrials: Life Thrives in Ocean Floor". LiveScience. Archived from the original on 2 April 2013. Retrieved 17 March 2013. ^ Morelle, Rebecca (15 December 2014). "Microbes discovered by deepest marine drill analysed". BBC News. Archived from the original on 16 December 2014. Retrieved 15 December 2014. ^ Fox, Douglas (20 August 2014). "Lakes under the ice: Antarctica's secret garden". Nature. 512 (7514): 244–46. Bibcode:2014Natur.512..244F. doi:10.1038/512244a. PMID 25143097. ^ Mack, Eric (20 August 2014). "Life Confirmed Under Antarctic Ice; Is Space Next?". Forbes. Archived from the original on 22 August 2014. Retrieved 21 August 2014. ^ Campbell, Neil A.; Brad Williamson; Robin J. Heyden (2006). Biology: Exploring Life. Boston, Massachusetts: Pearson Prentice Hall. ISBN 978-0-13-250882-7. Archived from the original on 2 November 2014. ^ "Meaning of biosphere". WebDictionary.co.uk. WebDictionary.co.uk. Archived from the original on 2 October 2011. Retrieved 12 November 2010. ^ "Essential requirements for life". CMEX-NASA. Archived from the original on 17 August 2009. Retrieved 14 July 2009. ^ a b Chiras, Daniel C. (2001). Environmental Science – Creating a Sustainable Future (6th ed.). ISBN 978-0-7637-1316-4. ^ a b Chang, Kenneth (12 September 2016). "Visions of Life on Mars in Earth's Depths". The New York Times. Archived from the original on 12 September 2016. Retrieved 12 September 2016. ^ Rampelotto, Pabulo Henrique (2010). "Resistance of microorganisms to extreme environmental conditions and its contribution to astrobiology". Sustainability. 2 (6): 1602–23. Bibcode:2010Sust....2.1602R. doi:10.3390/su2061602. ^ Baldwin, Emily (26 April 2012). "Lichen survives harsh Mars environment". Skymania News. Archived from the original on 28 May 2012. Retrieved 27 April 2012. ^ de Vera, J.-P.; Kohler, Ulrich (26 April 2012). "The adaptation potential of extremophiles to Martian surface conditions and its implication for the habitability of Mars" (PDF). Egu General Assembly Conference Abstracts. 14: 2113. Bibcode:2012EGUGA..14.2113D. Archived from the original (PDF) on 8 June 2012. Retrieved 27 April 2012. ^ Hotz, Robert Lee (3 December 2010). "New link in chain of life". Wall Street Journal. Dow Jones & Company, Inc. Archived from the original on 17 August 2017. Until now, however, they were all thought to share the same biochemistry, based on the Big Six, to build proteins, fats and DNA. ^ Neuhaus, Scott (2005). Handbook for the Deep Ecologist: What Everyone Should Know About Self, the Environment, And the Planet. iUniverse. pp. 23–50. ISBN 978-0-521-83113-0. Archived from the original on 4 September 2016. ^ Committee on the Limits of Organic Life in Planetary Systems; Committee on the Origins and Evolution of Life; National Research Council (2007). The Limits of Organic Life in Planetary Systems. National Academy of Sciences. ISBN 978-0-309-66906-1. Archived from the original on 10 May 2012. Retrieved 3 June 2012. ^ Benner, Steven A.; Ricardo, Alonso; Carrigan, Matthew A. (December 2004). "Is there a common chemical model for life in the universe?" (PDF). Current Opinion in Chemical Biology. 8 (6): 672–89. doi:10.1016/j.cbpa.2004.10.003. PMID 15556414. Archived from the original (PDF) on 8 June 2012. Retrieved 3 June 2012. ^ Purcell, Adam (5 February 2016). "DNA". Basic Biology. Archived from the original on 5 January 2017. Retrieved 15 November 2016. ^ Russell, Peter (2001). iGenetics. New York: Benjamin Cummings. ISBN 978-0-8053-4553-7. ^ Dahm R (2008). "Discovering DNA: Friedrich Miescher and the early years of nucleic acid research". Hum. Genet. 122 (6): 565–81. doi:10.1007/s00439-007-0433-0. PMID 17901982. ^ Portin P (2014). "The birth and development of the DNA theory of inheritance: sixty years since the discovery of the structure of DNA". Journal of Genetics. 93 (1): 293–302. doi:10.1007/s12041-014-0337-4. PMID 24840850. ^ "Aristotle". University of California Museum of Paleontology. Archived from the original on 20 November 2016. Retrieved 15 November 2016. ^ Knapp S, Lamas G, Lughadha EN, Novarino G (April 2004). "Stability or stasis in the names of organisms: the evolving codes of nomenclature". Philosophical Transactions of the Royal Society of London B. 359 (1444): 611–22. doi:10.1098/rstb.2003.1445. PMC 1693349. PMID 15253348. ^ Copeland, Herbert F. (1938). "The Kingdoms of Organisms". Quarterly Review of Biology. 13 (4): 383. doi:10.1086/394568. ^ Whittaker, R.H. (January 1969). "New concepts of kingdoms or organisms. Evolutionary relations are better represented by new classifications than by the traditional two kingdoms". Science. 163 (3863): 150–60. Bibcode:1969Sci...163..150W. CiteSeerX 10.1.1.403.5430. doi:10.1126/science.163.3863.150. PMID 5762760. ^ a b Woese, C.; Kandler, O.; Wheelis, M. (1990). "Towards a natural system of organisms: proposal for the domains Archaea, Bacteria, and Eucarya". Proceedings of the National Academy of Sciences of the United States of America. 87 (12): 4576–9. Bibcode:1990PNAS...87.4576W. doi:10.1073/pnas.87.12.4576. PMC 54159. PMID 2112744. ^ Van Regenmortel MH (January 2007). "Virus species and virus identification: past and current controversies". Infection, Genetics and Evolution. 7 (1): 133–44. doi:10.1016/j.meegid.2006.04.002. PMID 16713373. ^ Pennisi E (March 2001). "Taxonomy. Linnaeus's last stand?". Science. 291 (5512): 2304–07. doi:10.1126/science.291.5512.2304. PMID 11269295. ^ Sapp, Jan (2003). Genesis: The Evolution of Biology. Oxford University Press. pp. 75–78. ISBN 978-0-19-515619-5. Archived from the original on 3 September 2016. ^ a b Wolfram, Stephen (2002). A New Kind of Science. Wolfram Media. pp. 170–83, 297–362. ISBN 978-1-57955-008-0. ^ Lintilhac, P.M. (Jan 1999). "Thinking of biology: toward a theory of cellularity—speculations on the nature of the living cell" (PDF). BioScience. 49 (1): 59–68. doi:10.2307/1313494. JSTOR 1313494. PMID 11543344. Archived from the original (PDF) on 6 April 2013. Retrieved 2 June 2012. ^ Whitman, W.; Coleman, D.; Wiebe, W. (1998). "Prokaryotes: The unseen majority". Proceedings of the National Academy of Sciences of the United States of America. 95 (12): 6578–83. Bibcode:1998PNAS...95.6578W. doi:10.1073/pnas.95.12.6578. PMC 33863. PMID 9618454. ^ Pace, Norman R. (18 May 2006). "Concept Time for a change" (PDF). Nature. 441 (7091): 289. Bibcode:2006Natur.441..289P. doi:10.1038/441289a. PMID 16710401. Archived from the original (PDF) on 8 June 2012. Retrieved 2 June 2012. ^ "Scientific background". The Nobel Prize in Chemistry 2009. Royal Swedish Academy of Sciences. Archived from the original on 2 April 2012. Retrieved 10 June 2012. ^ Nakano A, Luini A (2010). "Passage through the Golgi". Curr Opin Cell Biol. 22 (4): 471–78. doi:10.1016/j.ceb.2010.05.003. PMID 20605430. ^ Panno, Joseph (2004). The Cell. Facts on File science library. Infobase Publishing. pp. 60–70. ISBN 978-0-8160-6736-7. Archived from the original on 4 September 2016. ^ Alberts, Bruce; et al. (1994). "From Single Cells to Multicellular Organisms". Molecular Biology of the Cell (3rd ed.). New York: Garland Science. ISBN 978-0-8153-1620-6. Archived from the original on 6 March 2016. Retrieved 12 June 2012. ^ Zimmer, Carl (7 January 2016). "Genetic Flip Helped Organisms Go From One Cell to Many". The New York Times. Archived from the original on 7 January 2016. Retrieved 7 January 2016. ^ Alberts, Bruce; et al. (2002). "General Principles of Cell Communication". Molecular Biology of the Cell. New York: Garland Science. ISBN 978-0-8153-3218-3. Archived from the original on 4 September 2015. Retrieved 12 June 2012. ^ Cantor, Matt (15 February 2009). "Alien Life 'Inevitable': Astronomer". Newser. Archived from the original on 3 May 2013. Retrieved 3 May 2013. Scientists now believe there could be as many habitable planets in the cosmos as there are stars, and that makes life's existence elsewhere "inevitable" over billions of years, says one. ^ Schulze-Makuch, Dirk; Dohm, James M.; Fairén, Alberto G.; Baker, Victor R.; Fink, Wolfgang; Strom, Robert G. (December 2005). "Venus, Mars, and the Ices on Mercury and the Moon: Astrobiological Implications and Proposed Mission Designs". Astrobiology. 5 (6): 778–95. Bibcode:2005AsBio...5..778S. doi:10.1089/ast.2005.5.778. PMID 16379531. ^ Woo, Marcus (27 January 2015). "Why We're Looking for Alien Life on Moons, Not Just Planets". Wired. Archived from the original on 27 January 2015. Retrieved 27 January 2015. ^ Strain, Daniel (14 December 2009). "Icy moons of Saturn and Jupiter may have conditions needed for life". The University of Santa Cruz. Archived from the original on 31 December 2012. Retrieved 4 July 2012. ^ Selis, Frank (2006). "Habitability: the point of view of an astronomer". In Gargaud, Muriel; Martin, Hervé; Claeys, Philippe. Lectures in Astrobiology. 2. Springer. pp. 210–14. ISBN 978-3-540-33692-1. Archived from the original on 3 September 2016. ^ Lineweaver, Charles H.; Fenner, Yeshe; Gibson, Brad K. (January 2004). "The Galactic Habitable Zone and the age distribution of complex life in the Milky Way". Science. 303 (5654): 59–62. arXiv:astro-ph/0401024. Bibcode:2004Sci...303...59L. doi:10.1126/science.1092322. PMID 14704421. ^ Vakoch, Douglas A.; Harrison, Albert A. (2011). Civilizations beyond Earth: extraterrestrial life and society. Berghahn Series. Berghahn Books. pp. 37–41. ISBN 978-0-85745-211-5. ^ "Artificial life". Dictionary.com. Archived from the original on 16 November 2016. Retrieved 15 November 2016. ^ Chopra, Paras; Akhil Kamma. "Engineering life through Synthetic Biology". In Silico Biology. 6. Archived from the original on 5 August 2008. Retrieved 9 June 2008. ^ Definition of death. Archived from the original on 1 November 2009. ^ a b "Definition of death". Encyclopedia of Death and Dying. Advameg, Inc. Archived from the original on 3 February 2007. Retrieved 25 May 2012. ^ Henig, Robin Marantz (April 2016). "Crossing Over: How Science Is Redefining Life and Death". National Geographic. Archived from the original on 1 November 2017. Retrieved 23 October 2017. ^ Extinction – definition. Archived from the original on 1 November 2009. ^ "What is an extinction?". Late Triassic. Bristol University. Archived from the original on 1 September 2012. Retrieved 27 June 2012. ^ Van Valkenburgh, B. (1999). "Major patterns in the history of carnivorous mammals". Annual Review of Earth and Planetary Sciences. 27: 463–93. Bibcode:1999AREPS..27..463V. doi:10.1146/annurev.earth.27.1.463. ^ "Frequently Asked Questions". San Diego Natural History Museum. Archived from the original on 10 May 2012. Retrieved 25 May 2012. ^ Vastag, Brian (21 August 2011). "Oldest 'microfossils' raise hopes for life on Mars". The Washington Post. Archived from the original on 19 October 2011. Retrieved 21 August 2011. ^ Wade, Nicholas (21 August 2011). "Geological Team Lays Claim to Oldest Known Fossils". The New York Times. Archived from the original on 1 May 2013. Retrieved 21 August 2011.